There are a number of people who use for sale landing pages on their domain names. Typically, these landing pages have some sort of large “for sale” notice along with information about how to complete the transaction. I just learned that you can create a button at Escrow.com that will automatically set up a transaction when it’s clicked. I know there are plenty of people who use Paypal for this, but in my opinion, when dealing with buyers you don’t know, especially on higher value sales, it’s better to use an intermediary like Escrow.com. By having a button on your landing page, you can probably eliminate negotiations, don’t have to pay an aftermarket commission for a sale, and you can lock in deals with a counter party that is registered at Escrow.com. 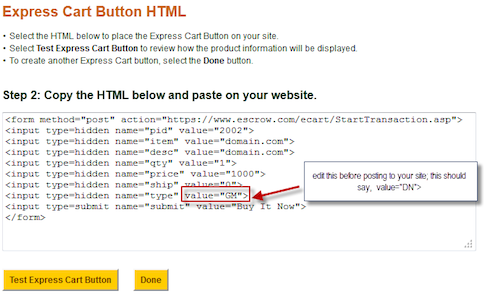 To create buy it now buttons, you will need to register as a partner at ecart.escrow.com. 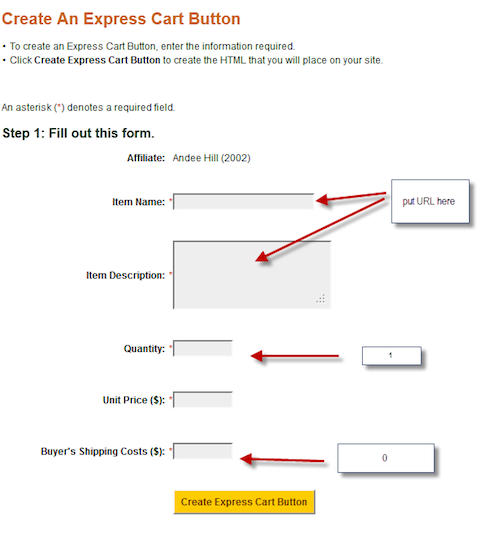 This will create a partner ID for you and enable you to create what the company calls Express Cart Buttons. The buttons were designed for General Merchandise but work fine as long as you change the GM to DN, as you can see in the example below. There is some pre qualifying required in order to use the buttons. Contact the Escrow.com sales department to get access to them. This is good news. I will look into this. Thanks for the tip. yes, top tip mate. thank you. Great Tip!!! Thanks for posting. Thanks for the post Elliot. Users should make sure they fill out the sales form as Escrow.com has to activate the account. Attempting to use the buttons on and inactive account will cause an error message.